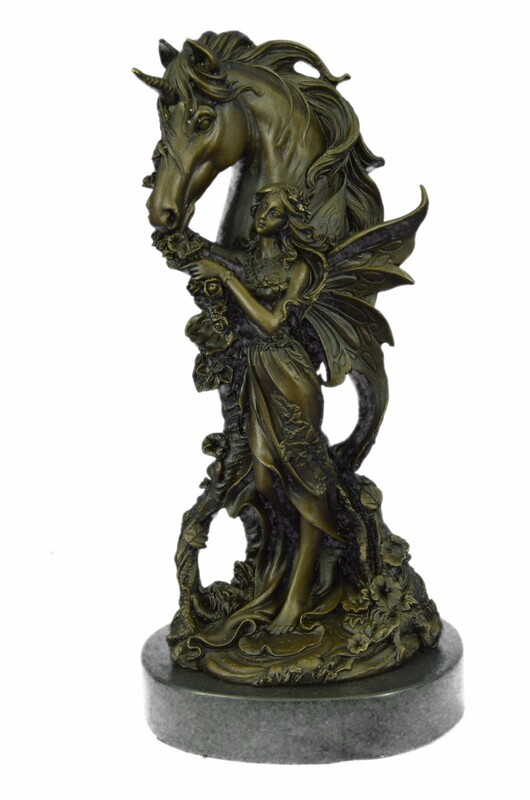 A Raven-Beautiful Fairy Maiden And Her Unicorn Horned Horse Companion Share A Moment Of Friendship. 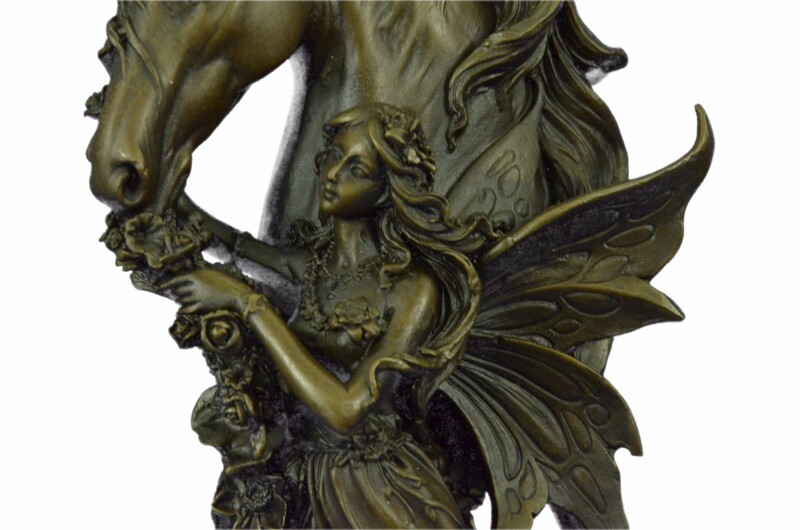 A Storybook Fantasy Brought Beautifully To Life! 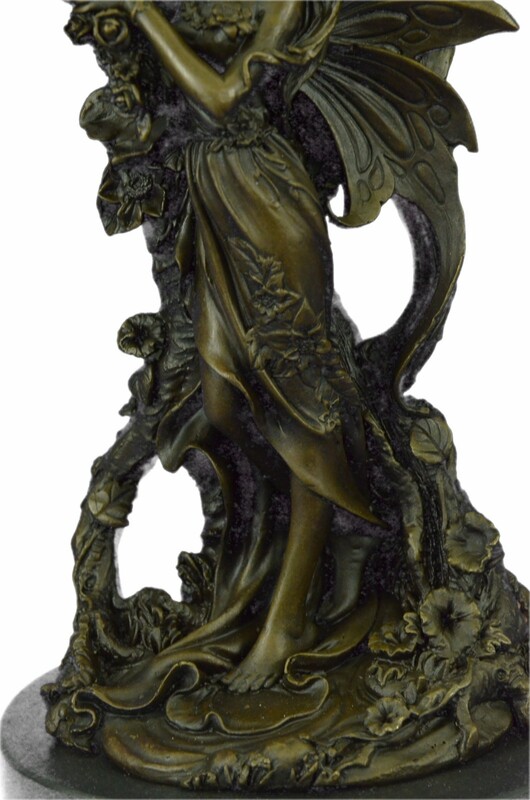 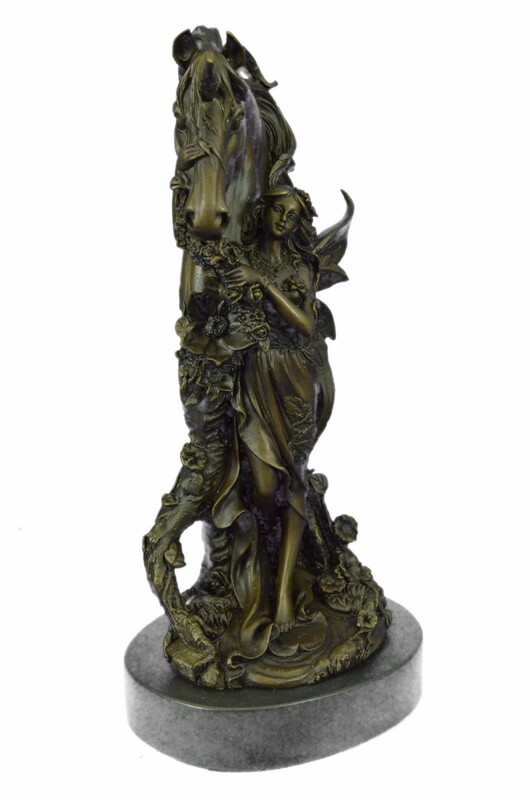 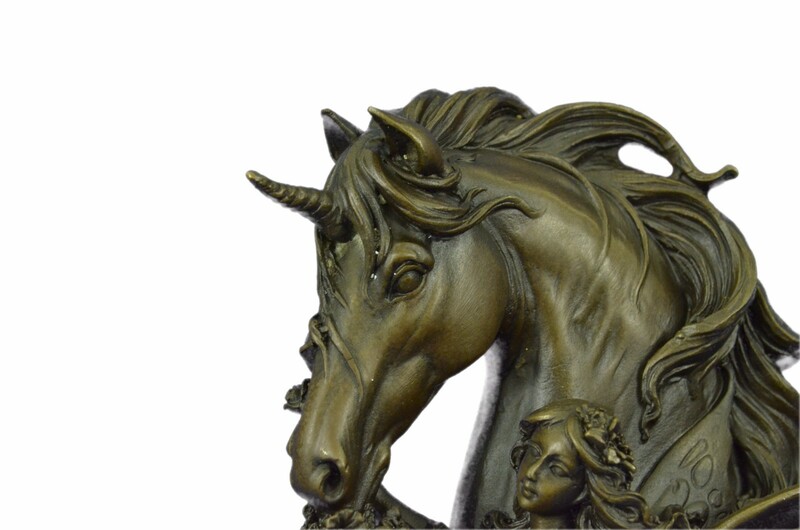 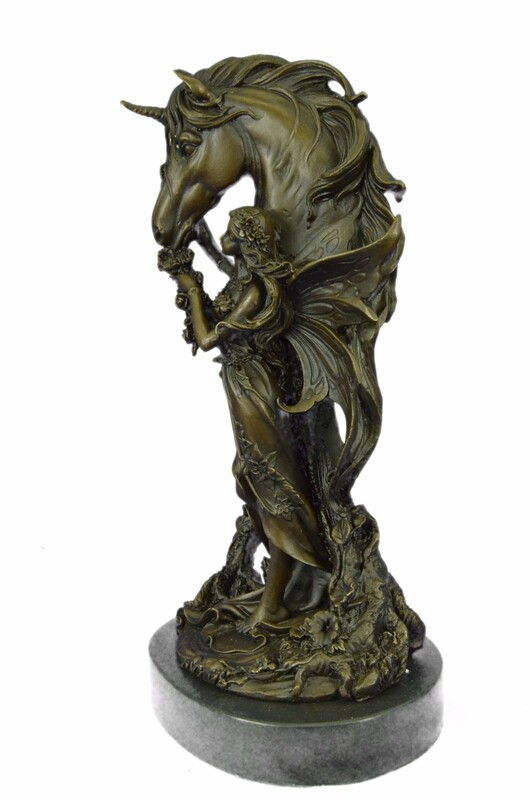 Fairy With Unicorn Figurine Is Made Of Real 100% Bronze. 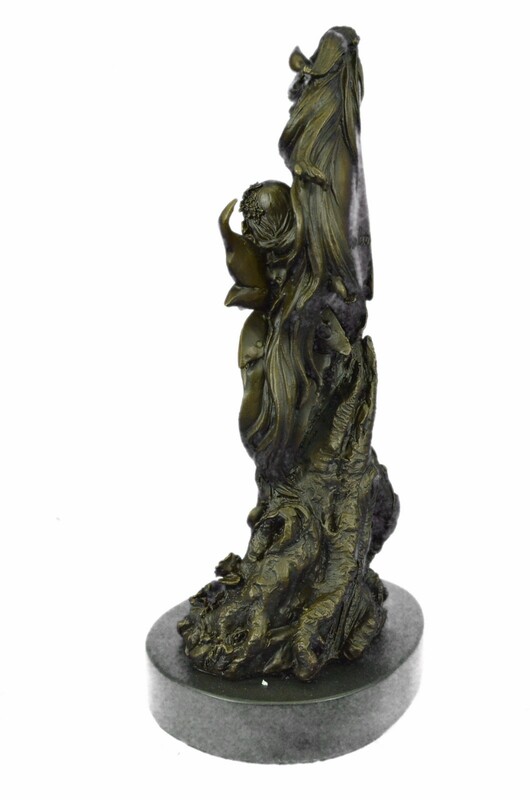 This Is Sculpture Rests On A Black Marble Base. 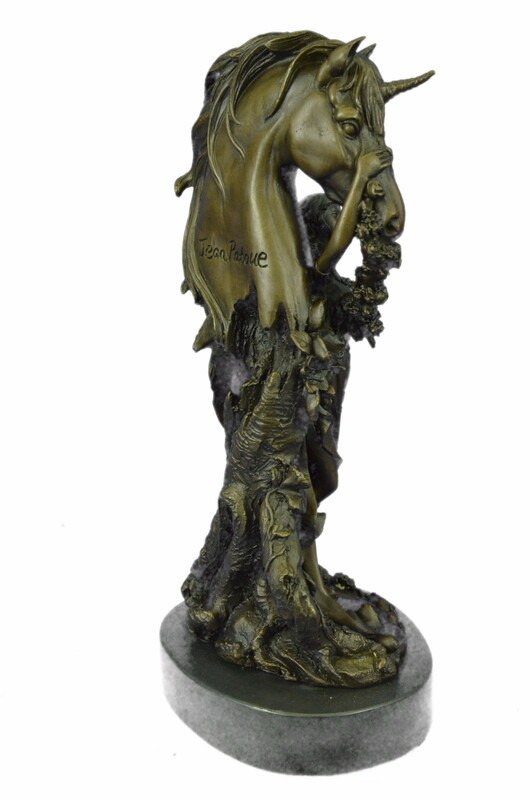 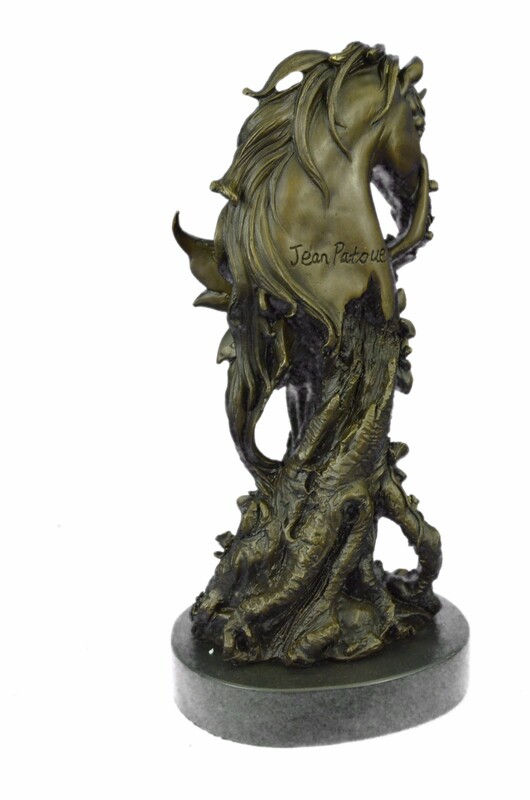 It Was Crafted Using The Lost Wax Method And Is Signed By The Artist Jean Patoue.